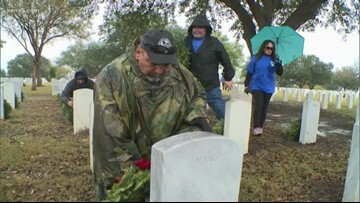 A traveling replica of the Vietnam veterans memorial called "the wall that heals" has made its way to Fort Sam Houston Cemetery. 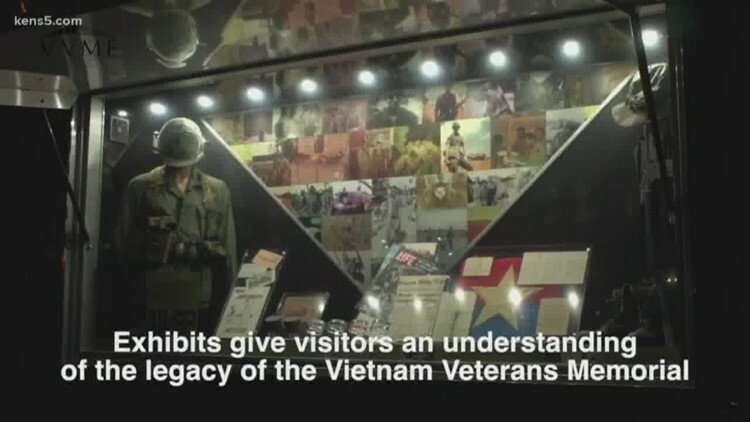 The memorial, which bears the names of the more than 58,000 service members killed in Vietnam is free to the public. It will be open 24 hours a day through March 3. 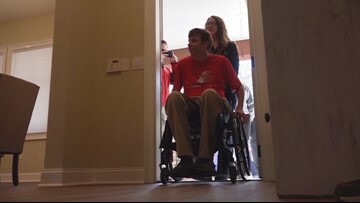 Hundreds came out to celebrate as an Army Specialist and his wife received a Christmas gift unlike any other. 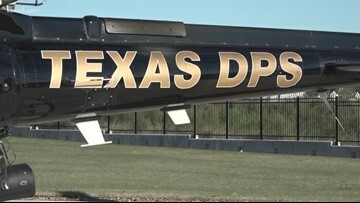 On Tuesday, the DPS troopers who are part of the Aircraft Division were awarded for their heroic efforts in a deadly high-speed chase back in February. 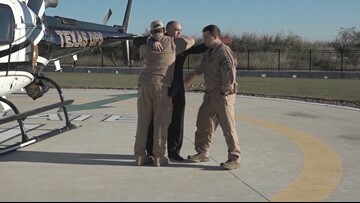 A DPS trooper shares his gratitude for the helicopter pilots who helped save his life. Eyewitness News reporter Henry Ramos joins us with their special reunion. 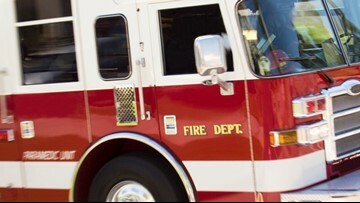 Teams from across Texas will begin deploying Monday morning. 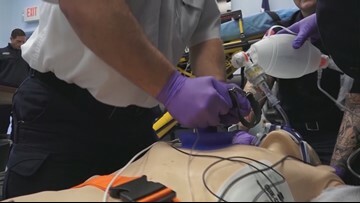 All of the changes have one goal in mind: making sure if care is needed, patients get the best care possible. 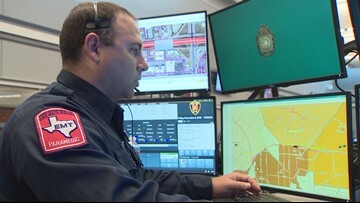 Time was not one woman's side as she called 9-1-1 to try to save her father's life. 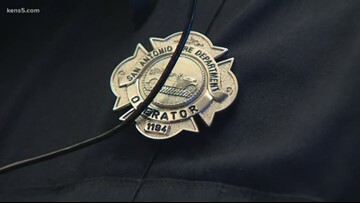 Eyewitness News reporter Sharon Ko has a KENS 5 exclusive with the man who took that call. 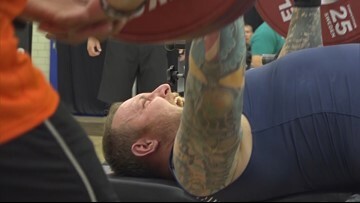 Active duty or veteran service members from 18 nations are competing in adaptive sports. 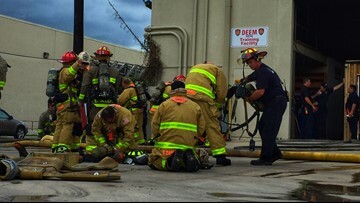 Twice a day, every day, San Antonio firefighters will charge into the warehouse on Nolan and North Cherry streets. The crews pour all of their energy into the training exercise. Between 1936 and 2017, the IAFF has honored 19 of our fallen San Antonio firefighters. 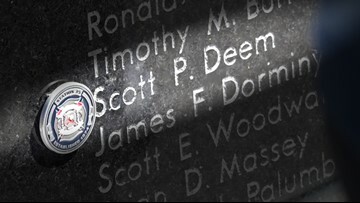 Some died while on duty, while others lost cancer battles linked to their work as first responders.